This celebration of the ocean brings together more than 200 organizations in 50 countries, featuring beach cleanups, photo and video contests, games, art workshops, lectures and films. World Oceans Day, has been unofficially celebrated every June 8 since its original proposal in 1992 by Canada at the Earth Summit in Rio de Janeiro, Brazil. Given the important role played by oceans in food security and the health and survival of all life, in 2008 the UN General Assembly decided that, from the following year, June 8 would be officially designated as World Oceans Day to raise global awareness of the challenges faced by the international community in connection with the oceans. Since then it has been coordinated internationally by The Ocean Project and the World Ocean Network. UN Secretary-General Ban Ki-moon today urged countries to boost their efforts to protect the oceans, which are threatened by overfishing, toxic waste, and climate change. “We must do more for our world’s oceans, which are threatened by pollution, depleted fishery resources, the impacts of climate change and the deterioration of the marine environment,” Ban said in his message marking World Oceans Day, which coincides with the 30th anniversary of the UN Convention on the Law of the Sea. Ban stressed that the UN Conference on Sustainable Development, Rio+20, taking place in Brazil later this month, will provide a once in a generation opportunity for UN Member States to act for ocean protection. 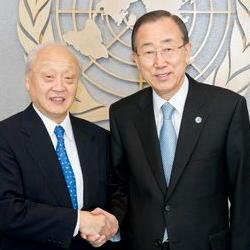 The secretary-general called on governments that have not done so to ratify the UN Convention on the Law of the Sea, which governs all aspects of ocean space, from delimitation of maritime boundaries, environmental regulations, scientific research, commerce and the settlement of international disputes involving marine issues. The Convention was first opened for signature in 1982 and entered into force in 1994; it has so far been ratified by 60 States. “We can learn from three decades of experience with the Convention, which should continue to be our guide in establishing the rule of law on the world’s oceans and seas,” Ban told experts at a roundtable panel discussion commemorating the convention at UN Headquarters in New York. The United States has not ratified the Law of the Sea Convention, due to the opposition of Republicans in the Senate. But accession has had the support of both Republican and Democratic presidents; military leaders who see the benefits for U.S. national security; the U.S. Chamber of Commerce, every affected industry, including: shipping, fisheries, telecommunications and energy as well as environmental groups. In celebration of World Oceans Day, the UNESCO World Heritage Centre is launching an iPhone app inspired by this year’s youth theme. Of the 6,000 marine protected areas on the planet, only 45 are inscribed on the World Heritage List, the highest internationally recognized status for conservation. The app aims to increase visibility of these exceptional places and facilitate access to information about their outstanding value. The iPhone app allows users to view videos of these places and their managers and to view the decisions the World Heritage Committee has taken about the status of their conservation. The app can be downloaded for free from the app store and will soon also be available for Android-compatible devices. The app is developed in partnership with the IUCN World Commission on Protected Areas. The work has been made possible by the financial support of the Tides of Time partners and the government of Flanders, that region of Belgium which borders the North Sea. A new trans-Atlantic agreement between the United States and the European Union is aimed at strengthening scientific cooperation on climate, weather, oceans and coasts. Meeting in Brussels on May 31, Dr. Jane Lubchenco, who heads the U.S. National Oceanic and Atmospheric Administration, and Dominique Ristori, director general of the European Union’s Joint Research Centre, signed the agreement. It authorizes exchanges of personnel, shared use of scientific infrastructure, support for joint research, access to laboratory facilities, scientific training and timely exchange of information. The signing was part of a trip to Brussels by Lubchenco to speak before the European Parliament Fisheries Committee on the importance of international cooperation on sustainable fisheries management to support jobs, healthy industries, seafood and healthy marine ecosystems. Lubchenco was invited by EU Commissioner for Maritime Affairs and Fisheries Maria Damanaki to highlight U.S. fisheries rebuilding, as Europe is proposing major reforms to its own fisheries management. 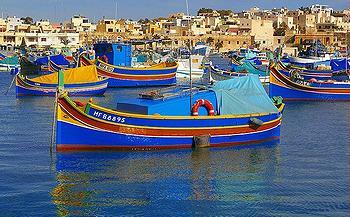 In a consultation document adopted today, the European Commission set out its intentions for fixing fishing opportunities for 2013. 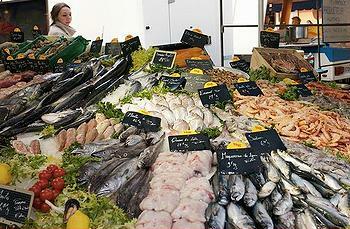 The document shows that the Commission’s efforts to phase out overfishing are starting to bear fruit. Compared to only five fish stocks in European seas that were known not to be overfished in 2009, there are now 20 fish stocks that are not overfished. These include: blue whiting, cod, plaice, herring and Norway lobster. As next week’s European Union Fisheries Council is expected to agree a joint position on the Common Fisheries Policy reform, environment groups warn that the proposed deal would not stop the depletion of fish stocks for another decade. Birdlife Europe, Greenpeace, Ocean2012, Oceana, Seas At Risk and WWF say that while ministers acknowledge that action plans are needed to reduce excess fishing capacity, timelines and specific measures are missing from the deal. They are calling for a complete rejection of the compromise text and asking the European parliament to challenge the Council’s “irresponsible” reform plan. In China, an environment official on Tuesday warned of serious pollution in China’s rivers, lakes and seas, saying the problem in the near-shore waters of major coastal economic zones is particularly serious. Wu told a news conference that the five bays include Bohai Bay, the Yangtze estuary, Hangzhou Bay in Zhejiang Province, the Minjiang estuary in Fujian Province and the Pearl River estuary in southern province of Guangdong. From the official to the playful – coming online today are new ocean-related games; among them is mermology from Jumping Astronaut Ltd. at: www.mermology.com. Mermology is an interactive water drama / game driven across social media platforms with free access as a place of play and learning. Game alliances drive the characters in the story world fighting for the real survival of water and life on Planet Earth. Season One, launching today, invites participants to like, comment, join in and take part with participation features on Youtube, Facebook, Twitter, Pinterest, and TumblR. New York’s Empire State Building will be lit this evening for World Oceans Day in white, blue and purple. White at the top represents the shallowest, sunlit waters and also the polar ice cap. The blue light represents the slightly deeper ocean waters, and the purple even deeper waters in the ocean. The unlit portions, or black, represent those parts of the ocean where sunlight does not reach. The overall representation covers all aspects, and all parts, of the ocean, not just the surface that we can see. Nongovernmental organizations are reaching out with a wide variety of endeavors for ocean protection. Today at 3:30PM EST, the Khaled bin Sultan Living Oceans Foundation will connect direct from their research ship in the Galapagos with U.S. ocean scientist Sylvia Earle, in the Smithsonian Institute. 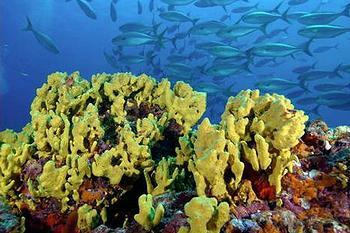 The Galapagos is one of Earle’s Hope Spots. This transcontinental conversation about the state of coral reefs will include photos, videos by Doug Allen, and coral reef news direct from the sub-aquatic research site near Darwin Island. The conversation will be streamed live at: www.livingoceansfoundation.org and on the Smithsonian Institute’s Ocean Portal. Click here for a list of other World Oceans Day events online. On Wednesday, the U.S.-based nonprofit Oceana released a report showing how saving the world’s oceans can help to feed the nine billion people projected to be on the planet by 2050. 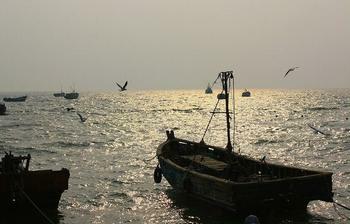 Implementing science based fisheries management in the 25 countries that control more than 75 percent of the world’s fish stocks – measures that reduce overfishing, protect habitat and limit bycatch – will increase fish stocks to the point that wild seafood could sustainably feed 700 million people a day and also help protect important ocean ecosystems, according to the Oceana report. In the UK, The Wildlife Trusts today launched a campaign to recruit Friends of Marine Conservation Zones. The campaign is linked to a new online resource, the first of its kind, that provides details of locations, species and habitats for all 127 recommended Marine Conservation Zones. By creating accessible information about the 127 sites, The Wildlife Trusts hope to inspire individuals to stand up for the extraordinary marine species and habitats in English and offshore Welsh waters. 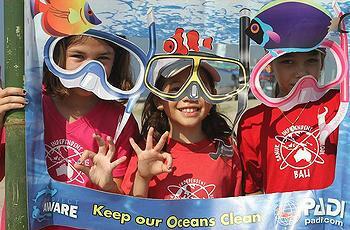 Click here for a list of all World Oceans Day events.